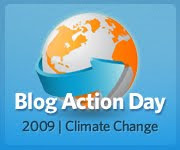 Happy Blog Action Day. This year’s topic is climate change. Will butterflies be affected by global climate change? Of course they will- there’s growing evidence that some species are already being affected. There are several types of changes that can be anticipated in response to a warmer climate. Species’ ranges could shift pole-ward. Alpine species could shift their ranges to higher elevations, and species found at low elevations near mountains could become alpine species. Phenology- the timing of events that happen annually- might also change. Some species might begin flying earlier in the spring. The appearance of a larger number of generations annually is also a possibility. As with so many things involving butterfly study, the first evidence of shifting range patterns appears to have been reported in Great Britain (the Brits typically rock in terms of appreciation for and study of butterflies). 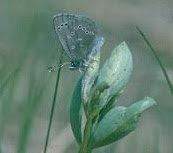 As of 2007, the British group Butterfly Conservation was reporting range expansion of 15 species, and attributed this to climate change. In the late 1990’s I thought that we were seeing something similar here in Illinois. A southern species called the fiery skipper migrates into this area late in the summer. They typically don’t arrive in great numbers, and some years they don’t show up much at all. In the late nineties, they began showing up routinely in larger numbers and on more northern Illinois butterfly monitoring sites. Was this an early indicator of climate change? This observation, which repeated over four years, did not persist and numbers eventually returned to their former levels. More recently, evidence has been published (subscription required) documenting a range expansion of the Sachem Skipper as a result of warmer winters. Here in the Midwest, we may be seeing examples of species’ ranges retreating northward. We are at the southern edge of the ranges of the Silvery Blue and the Silver-bordered Fritillary. The blue may have recently become extinct in Illinois. The fritillary, which is faring poorly across much of the southern edge of its range, is the subject of some significant conservation efforts here at work. Perhaps the species with the most frustrating outlook are some of the alpine groups. Rare species like the Uncompahgre fritillary live near the tops of mountains. In a warming world, they have only so far that they can move up before their only available habitat vanishes like a puddle evaporating in the hot sun. I’m not a climatologist. About the only thing that I can do to evaluate the various claims is to try to determine where a particular claim falls on the consensus/contentious continuum. I’ve pretty much come to the conclusion that we will lose species- perhaps a great number of them- as climate change continues to unfold. This represents a source of great sadness to me, and is part of the motivation for my working in conservation. What can you do? Specifically with regard to butterflies, some of the most important things folks can do include supporting local ecological restoration activities. If you’re feeling really ambitious, there are a number of citizen-science projects around the country where folks can go out and count butterflies near where they live. The data collected help guide a lot of conservation decisions. Hooray for you Doug! Thanks for informing us of this. Thanks for being balanced. Thanks for the option of something to do, and especially thanks for all you do to help the butterflies and the earth! and double thanks for identifying the butterfly on my blog! I saw some others but that was the only photo worth publishing. There's no such entity as "global climate change". It's just new verbiage to replace the thoroughly discredited "global warming" garbage.